Every year, the public relations firm Edelman produces a ‘trust barometer’ that surveys public attitudes to governments, industries and other institutions around the world. The results don’t make happy reading for the chemicals industry: this year, it gained one of the lowest trust ratings among technology-based businesses, similar to banking and – ahem – the media. Transparent and effective third-party oversight is one of the surest ways of securing trust in an industry. Yet in the US, where chemicals are regulated under the Toxic Substances Control Act (TSCA, pronounced ‘Tosca’), that oversight is sadly lacking. Several efforts to reform the act have foundered in recent years, deadlocked by partisan politics. 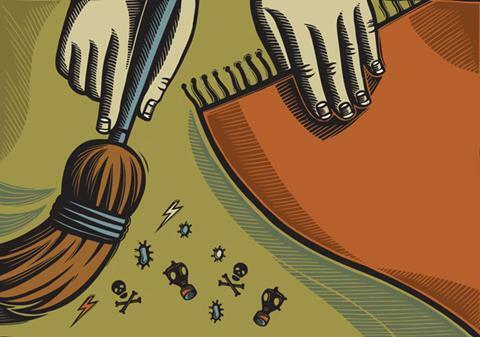 Now US politicians are taking another crack at rewriting their chemicals legislation, and claim that this is the best opportunity ever to reform TSCA. Industry and consumers alike should fervently hope that they succeed. TSCA empowers the US Environmental Protection Agency (EPA) to assess the health and environmental risks of chemicals used in consumer products and industrial processes (food, drugs, cosmetics and pesticides are regulated separately). When the act was passed in 1976, chemicals already on the market were assumed to be safe unless the agency could prove otherwise. But henceforth, manufacturers had to alert the EPA if they planned to launch new products, so that the agency could assess them in advance. In principle, TSCA offered a much-needed tightening of regulation. In practice, the EPA has not had the funding, nor the political clout, to enforce proper oversight. The agency has always struggled to persuade industry to release the data needed to make a proper risk assessment; and it has been hamstrung by TSCA’s stipulation that the economic impact of restricting a chemical must also be considered – this was at the root of the agency’s failure to ban asbestos for a wide range of construction uses. There are now more than 80,000 different chemical products in TSCA’s inventory, and in almost 40 years the EPA has significantly restricted the sale of fewer than 10 of them. This tally does not reassure the public that the remaining 79,990 are entirely benign. It’s not just environmental groups that say TSCA is ripe for reform – industry is eager for change too. One of the consequences of ineffective national legislation is that individual states often take it upon themselves to ban particular chemicals, creating a confusing patchwork of standards across the country. There is also a consensus that the burden of proof should shift: rather than requiring the EPA to prove a product poses an ‘unreasonable’ risk, manufacturers should show it is ‘reasonably’ safe. ‘Reasonable’ is a slippery term, and two competing bills are trying to pin it down in different ways. The first gives the EPA more power to investigate chemicals that are already on the market. But critics complain that it is too industry-friendly, and would strip states of their regulatory powers. The second goes further, imposing a stronger test – ‘reasonable certainty of no harm’ – and states could continue to enact their own restrictions. Supporters of each bill have already clashed at hearings in March, and a final vote is expected in summer. Done right, improved chemicals legislation could offer greater protection to consumers and boost confidence in the industry. It could also ease trade, by bringing US regulations in line with those in the European Union. The EU’s Registration, Evaluation, Authorisation and Restriction of Chemicals (Reach) legislation, which came into force in 2007, already demands that industry supply the evidence needed to regulate its products. Reach is far from perfect. Its leviathan bureaucracy can be costly for smaller businesses to navigate, and it is still too easy for businesses to use animal toxicity tests where good alternatives exist. Broadly, though, the regulation is working. Whatever its shortcomings, it is widely recognised as the most comprehensive chemicals regulation system in the world, and despite early gripes industry seems to be getting on with it. It is absolutely right to place the burden of proof squarely on those companies who stand to profit from these products. But a change in the law will do no good if the EPA does not have the tools and funding it needs to do its job properly. Industry should pay its fair share of the costs of ensuring that its products are safe. The EPA must also formulate a clearer strategy for working through the backlog of chemicals of highest concern, emphasising the need to develop faster, animal-free techniques. EPA-led high-throughput screening programmes such as ToxCast and Tox21 have already advanced the science of predictive toxicology, and they should play an important role in a revamped TSCA. Above all, industry must accept that it may not get all the concessions it wants. That may include allowing states to continue regulating chemicals autonomously, at least until improved national regulations are shown to be effective. Meanwhile, politicians working on TSCA reform must be prepared to compromise for the sake of producing a bill that stands a decent chance of being enacted. For even if the reforms do not go as far as some would like, they will surely be better than no reform at all.